Daniel Caruso, MD, is a surgeon and urologist at Oceanside Urology LLC in Jupiter, Florida. He specializes in highly precise surgical procedures that involve the urological system, as well as female reconstruction for vaginal or pelvic floor disorders. He also has expertise in the diagnosis and treatment of kidney, bladder, prostaste cancer and testes cancer. He completed his undergraduate degree with high honors in biological sciences at the College of New Jersey. He earned his MD and MBA degrees at Robert Wood Johnson Medical School and Rutgers University Graduate School of Management, respectively. He was one of a few medical students selected for a full merit scholarship to complete his graduate management studies. He has served as a surgical intern, urology resident, and chief resident in urology within the department of urology at the University of Miami Jackson Health System residency training program. His fellowship training at the University of Miami gave him the opportunity to treat males and females with complex voiding dysfunction, pelvic organ prolapse, and neurogenic bladder. Dr. Caruso has been published in peer-reviewed journals and has presented at numerous national and international scientific meetings. 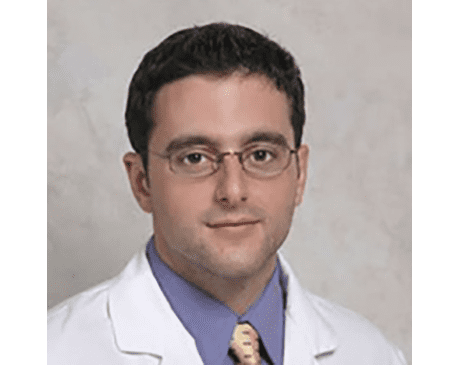 Prior to going into private practice in Northern Palm Beach County, Dr. Caruso worked as a clinical instructor of urology at the University of Miami. He was named “Physician of the Year” by Jupiter Medical Center in 2011 and received a Patient’s Choice Award in Compassionate Doctor Recognition in 2010. Dr. Caruso is certified by the American Board of Urology and brings compassionate, education-based care to all of his patients.